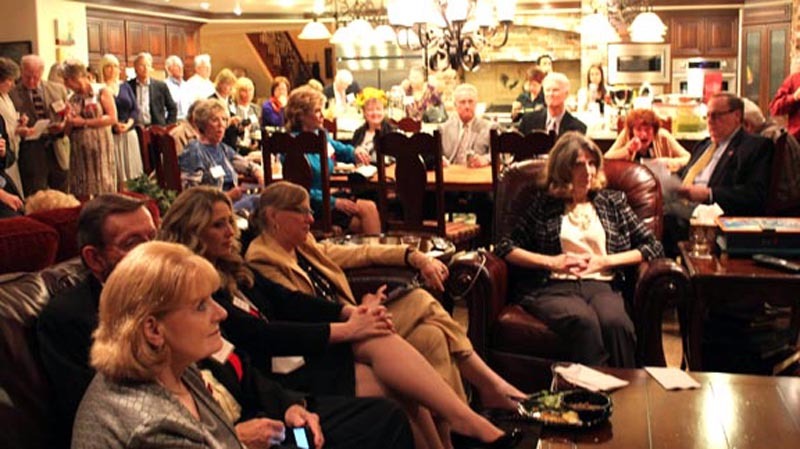 Nonprofits in the Santa Clarita Valley have nominated 29 candidates – 15 men and 14 women – for the honor of SCV Man and Woman of the Year. A “Paparazzi Party” was held Tuesday at the Sand Canyon estate home of Dianne and Wayne Crawford to introduce the nominees. Representatives from 20 nonprofits, which included service clubs, nonprofit organizations and foundations, spoke briefly about each nominee. Steve Sturgon and Elizabeth Hopp, last year’s winners, are this year’s co-chairs. This year’s winners will be next year’s co-chairs. It’s the price they pay for the souvenir license plate holder that says “Man/Woman of the Year.” Photos by Michele E. Buttelman. The 2013 Man and Woman of the Year, Steve Sturgeon and Elizabeth Hopp, are co-chairs of this year’s event and were the emcees during the presentation of nominees. The SCV Man and Woman of the Year honors are presented to deserving volunteers for their length and depth of service to the community. Winners will be selected by a vote of previous winners of the honor. 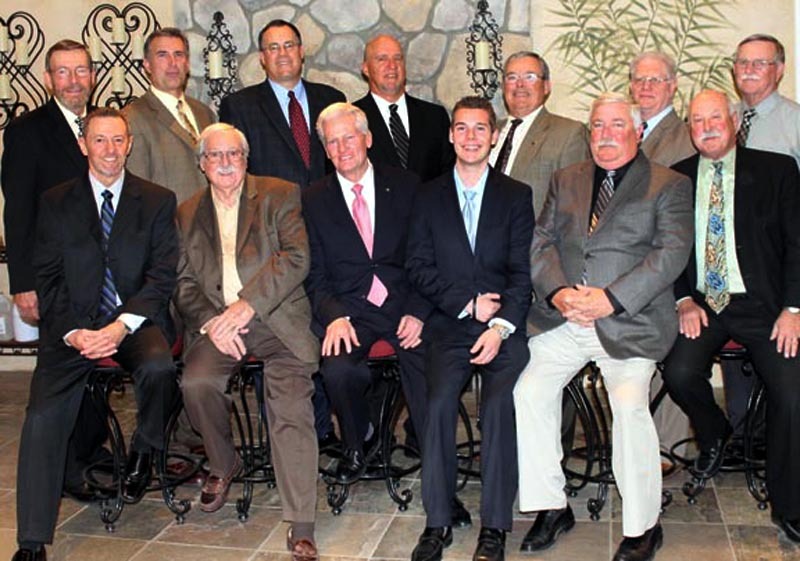 Those nominated for Man of the Year, along with their nominating organizations: Jim Backer, SCV Education Foundation; Donald Biggs, Samuel Dixon Family Health Center; Tim Davis, Bridge to Home; Bob Heinisch, American Legion-Newhall/Saugus; Carl Kanowsky, SCV Boys & Girls Club; Taylor Kellstrom, Children’s Hospital of Los Angeles; Jonathan Kraut, Domestic Violence Center; Bill Lively, SCV Senior Center; Frank McMahan, Sunrise Rotary; Randy Moberg, College of the Canyons Foundation; Chuck Morris, Friendly Valley Veterans Club; Cary Quashen, Action Family Foundation; Dave Reeves, Rotary Club of SCV; Eric Stroh, Carousel Ranch; and Steve Zimmer, Child & Family Center. 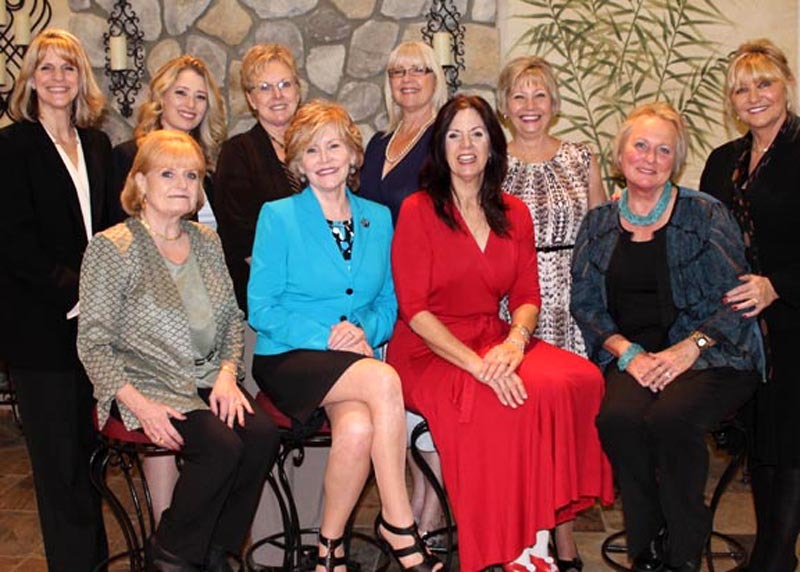 Nominated for Woman of the Year: Dorothy Bernier-DuVall, American Legion-Newhall/Saugus; Jill Bondy, Circle of Hope; Marianne Cederlind, Carousel Ranch; Sue Endress, Rotary Club of SCV; Cheryl Gray, SCV Boys & Girls Club; Linda Hafizi, HMNMH Foundation; Tracy Hauser, SCV Senior Center; Molly Hodson, Sunrise Rotary; Krissy McAfee, Action Family Foundation; Laina McFerren, Child & Family Center; Susan Reynolds, Domestic Violence Center and Boy Scouts of America; Michele Stallings, California Youth Chess League and Sean’s Fund; Karen Maleck-Whiteley, Zonta Club of SCV; and Doris Marie Zimmer, College of the Canyons Foundation. 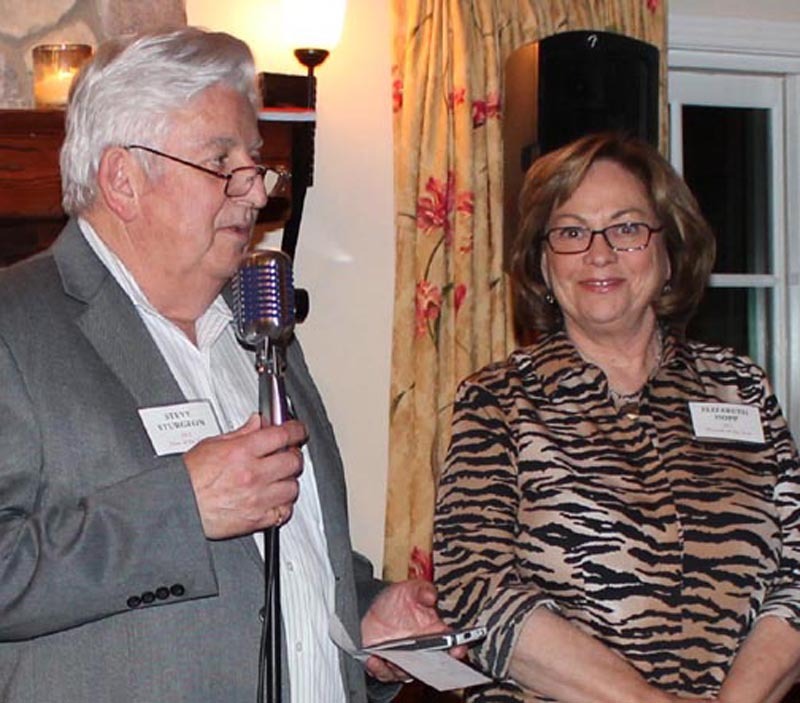 The SCV Man and Woman of the Year award was founded in 1964 when SCV resident A.B. 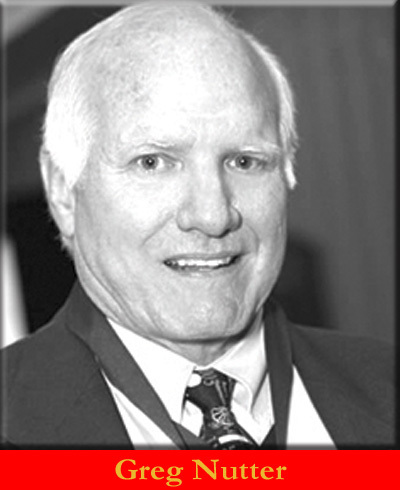 Perkins was named Outstanding Citizen of the Year. The first man and woman “duo” were named in 1972 when Bill Millsap and Bobbie Trueblood (Davis) were named. Previous winners of the honor have included: Bill Bonelli, Jr. (1966), Ed Bolden (1970), Olive Ruby (1971), Reverend Samuel Dixon (1973), Connie Worden-Roberts (1975), Jo Anne Darcy (1984), George Pederson (1997) and Don and Cheri Fleming (2004). The 2014 Man and Woman of the Year will be announced at the 48th Annual Recognition Dinner to be held Friday, May 2 at the Hyatt Regency Valencia. Winners of the 2014 Man and Woman of the Year honor will each have a $1,000 donation made in their names to their favorite charities and receive a special SCV Man, or Woman, of the Year license plate frame. For more information, or for tickets to the event, contact Elizabeth Hopp, 661-362-6006. Visit www.scvmanandwomanoftheyear.com.